What's happening at Backup Machine? The team will share updates and insights into life inside the machine! Steve When is a Backup Not a Backup? At Backup Machine we cater for customers from all manner of different hosting companies. Our aim is to be a universal system for all website owners, disconnected from the company and server systems of their selected hosting providers. A fail safe in a time of need. However, one type of website is out of our reach: The “Website Builder” website. These systems have incredible appeal – you can often get a good looking website up and running incredibly quickly, and without any technical skills. But beware! Unless you have access to your website’s files and database, you are stuck with your provider. There is usually no effective way for you to move that website elsewhere should you want to or need to. Recently a customer contacted us regarding one of these sites. They had been told by the website builder company to use “HTTrack Website Copier” to run their backups, should they wish to take a copy themselves. Do not be fooled! HTTrack will take a copy of your website in the same way that taking a photo of your car is a copy of your car. It might look like your car, but none of the controls will work, and you’ll certainly be late for work if you try to use it. HTTrack will not copy the necessary nuts and bolts to make your website ‘work’. Your backup might contain a copy of the content of your blog posts, but you won’t be able to post anything new and none of the other dynamic content on your website will work. If you want to be able to run your website anywhere, you need access to your website’s files and its database. Without this, you’re stuck with your current provider, and you must make sure you’re satisfied with their backup arrangements. If you currently pay your bill using PayPal, you can swap over to credit card payments from within your Backup Machine control panel. Simply log in, select “Account Settings” then “Payment Schedule”, and you will be able to change any of your existing charges. Happy Holidays from the Backup Machine Team! Steve Getting Away with a Terrible Mistake thanks to Backup Machine! Have a look at the following Tweets. Feel sorry for these folks for a while and then ask yourself: If you did this to your site, would everything work out fine? We hear these sorts of stories frequently at Backup Machine, although usually there’s a sigh of relief and a huge “Thank you!” in conclusion. You never know when you’ll be over-tired, distracted, or just unlucky and click the wrong button. Let us help you make sure you can get away with it! Losing data and not having a backup is like losing your virginity. You can never get it back, no matter how much you might like to. Another day, another big site hacked. 2013 really just hasn’t been a good year for web security. This time around, the site writing the email that noone wants to write is Drupal.org, home of the popular content management platform, Drupal. Though no exact number was shared, it appears that nearly one million user accounts are affected. Also affected are the user accounts of groups.drupal.org, a sub-site meant to help Drupal users establish meetup groups in the real world. 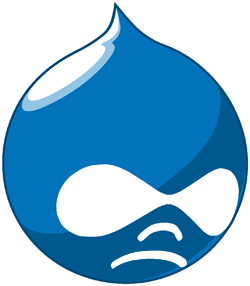 Word of the break-in went out this evening, when Drupal began to email affected users. In an FAQ about the hack on their site, Drupal says that they currently have no idea who might be behind the attack. So far, it seems like the hackers had access to usernames, email addresses, and hashed passwords. You can now backup sites even more securely by using SSH Key authentication within Backup Machine. If your hosting provider supports them, SSH keys offer greater levels of security than regular passwords. To enable this functionality, simply specify “SSH / SFTP” in our simple “Add Website” wizard, then upload a private key from your server, rather than supply a password. Your private SSH key should be kept secret, just like your password. When you upload your key, we strongly encrypt it to keep it safe. Steve World Backup Day 2013 – 25% Off All Backup Packages! Over the last 3 years, we’ve noticed a huge increase in the number of businesses and individuals who recognise how essential it is to backup all their data; especially their website. “World Backup Day is a day for people to learn about the increasing role of data in our lives and the importance of regular backups. 25% Off Backups – For Life! To celebrate this occasion, for the next week we’re offering a whopping 25% off the cost of any of our backup packages for the lifetime of the package! Just use the coupon WORLD2013 at checkout to receive this offer. It’s valid until the end of the week. Signup today and get your site protected! 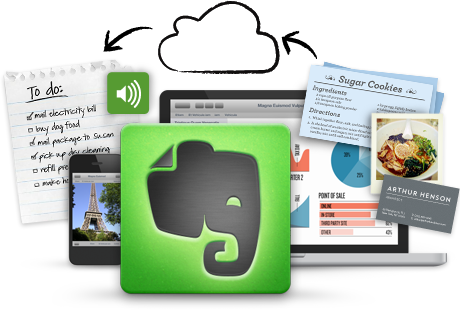 Steve Evernote hacked! Change your passwords. … leaving the possibility that a criminal group has got a copy of your username and one-way-encrypted password. So if they’ve used one-way encryption, what’s the problem? One-way encryption (hashing) is a great idea, and we use it at Backup Machine too. However, even with a hashed password, it’s possible (with enough time and processing power) to find its original value. Hacks like this serve as a reminder for us all to choose a separate password for every service we use. Your own website’s FTP, SSH and Database passwords are doubly important to protect in this way. You don’t want to have to change all your different passwords in a hurry when you think you’ve had your credentials compromised. Help, I’m trying to remember too many passwords! Of course, these days we all use many online services – and some of us have to choose usernames and passwords for our own services as well. How do you keep track of them? These will not only store your many passwords in an encrypted file, but will help you to generate a new password for each site – ensuring a suitable password complexity, and randomness. An even better way to protect your services is to use 2-factor authentication. We’ll cover this in more detail in our next blog post. Fasthosts are a leading hosting provider in the UK. They do not currently offer a customer-accessible backup solution, but don’t worry – we can provide one for you! It’s quick and simple to take an offsite backup of your Fasthosts website and MySQL database, automatically with Backup Machine. In order for Backup Machine to backup your website, we require FTP (or SFTP) access to your website’s files. Log into your Fasthosts Control Panel, then choose the “Hosting” menu. Select the website name you want to back up. This will take you to an overview page for your website, where you can control its FTP details as well as any related databases. Click on the icon marked “FTP” within your website’s overview page. From this screen you can reset the main (or “Master”) FTP password for your website. If you do not know it already, you will need to specify a new password here and remember it. This “Master FTP Account” uses your website’s domain name (e.g. mydomain.com) as the FTP username. Backup Machine can use this account, but it would be better to create a special account, just for backing up your files. You will need to add a user with access to the root of your website (‘/’) and at least View Files and View Folders permissions. PLEASE NOTE: You’ll need to wait up to 15 minutes for the FTP username and password to make their way onto Fasthosts’ FTP servers. While that’s happening, let’s sort out your database too. From the website overview page in your Fasthosts control panel, you should see a “Databases” icon. Clicking on this icon will show you a list of your databases. As well as your username and password, you will require the values of “Database Name” and “Server IP Address” from this list. To add a user (or new database), please refer to Fasthosts’ “MySQL Guide”, available here: https://help.fasthosts.co.uk/app/answers/detail/a_id/42/kw/add%20mysql If you already have a database, jump to the section entitled “Adding users to your database” in this guide. Your FTP username is “<domain name>” unless you added your own user, in which case please use that user’s username. Your FTP password is as you specified within the Fasthosts control panel. Click “Your Websites” from the left-hand menu, then select “<domain name> settings“, or the thumbnail of your site. From here, click “Add MySQL database”, then choose the “Connect Directly” option. It’s always a good idea to have an automated offsite backup, regardless of your hosting provider. We’ll be covering other hosting providers in future. If you would like us to produce a guide for yours, why not get in touch? Steve Backup your website database without remote access! We’ve been working hard at Backup Machine to create a new way to backup your website’s database, even when your host doesn’t give you remote access. Since we launched, we’ve allowed you to backup your database either directly or by using SSH. Even then, sometimes that hasn’t been enough. We’re truly committed to ensuring that everyone can back up their data, so this didn’t stop us searching for alternatives. Today we’re proud to announce a third backup option: Backup your database through your website. By using a simple PHP script that you can securely download through our site, we can now backup your database – even when the other options aren’t available to you. Security at Backup Machine is paramount. As such, all data and database credentials are strongly encrypted when transferred to and from your site. The script itself does not contain a copy of your database password. Unlike some other inferior technologies, we’ve worked hard to ensure that your data remains safe at all times. This option is now available to everyone through their Backup Machine account. If you’ve been unable to backup your database in the past, why not give us a go with one of our free accounts? © Copyright 2012. Backup Machine is a product of App Machine Ltd.